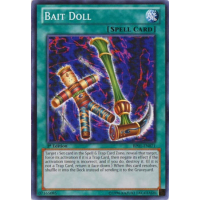 Target 1 Set card in the Spell & Trap Card Zone; reveal that target, force its activation if it is a Trap Card, then negate its effect if the activation timing is incorrect, and if you do, destroy it. (If it is not a Trap Card, return it face-down.) When this card resolves, shuffle it into the Deck instead of sending it to the Graveyard.